The Monona Terrace floor is being re-done, so it should look especially lovely for our event in 2019! Please note, the Terrace is being VERY STRICT that the ONLY kind of tape that is allowed to touch the floor of the Expo Hall is Gaffer's tape. If you use another kind of tape (to tape down mats for example), there will be a very steep charge for cleaning. So please only use Gaffer's tape. Gaffer's tape will be available to purchase through the Monona Terrace service desk - however it will be much more affordable to buy your own. It costs about $17/roll at a hardware store or Amazon. 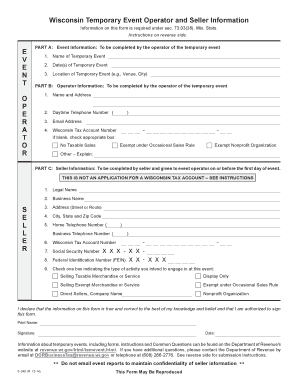 We REQUIRE a Wisconsin Temporary Event Operator and Seller Information Form from ALL VENDORS: Please complete our online form: https://goo.gl/forms/AKnfQbA5LNNjAbIi2. Or here is a hard copy of the form that you can fill out and mail/e-mail to us instead of filling out the Google form above. The State of Wisconsin requires event operators to report all sellers/vendors at an event, including those whose sales may be exempt from sales tax and those who may not have actively sold merchandise or services. This includes food, drink and entertainment vendors. We will prepare the form based on your questionnaire and ask you to sign it at Expo registration. If you have questions, please refer to the Wisconsin Department of Revenue’s web site: revenue.wi.gov. Publication 228 answers specific questions about persons selling at events. The phone number is 608-266-2776. No food or beverages shall be brought onto Monona Terrace premises except through the building caterer. No free samples are to be given away or otherwise distributed without prior written consent of Monona Catering Management. No open flame or flammable material. EVERYONE: DO YOU KNOW HOW/WHERE TO UNLOAD AND PARK? Exhibitor set up is from 7:30 a.m. to 9 a.m. Set-up must be complete by 9:30 a.m. Allow enough time so that you are fully unloaded prior to 9 a.m.
Move-in and move-out available from BOTH the East Dock and the West Dock of the Monona Terrace. This should help everyone to get in and out quickly. Here is the loading/unloading info from Monona Terrace with directions to both the East and West Docks. Remember that after unloading, you must park your vehicle. Parking is available at the Monona Terrace ($5) or free on the streets. Some exhibitors choose to park right away and unload from the parking ramp rather than unload from the loading docks. Either way, we highly recommend bringing your own cart for unloading and loading. Monona Terrace has a very small number of carts for exhibitors to use. Here are a couple of carts other exhibitors have found helpful as they fold nicely for storage during the show: rolling utility card or folding hand cart (such as those shown in the Amazon links). Tear down starts at 4 p.m. 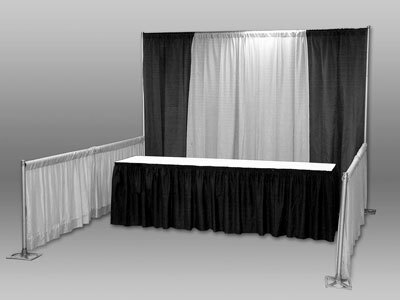 Please do not start to tear your booth down before 4 p.m.
We use TEAL (not black and white) pipe-and-drape. NO table coverings are included - bring your own. Each REGULAR BOOTH and THE MINI CRAFTY FAIR registration comes with one (1) 2 ft x 8 ft table and two (2) folding chairs. DOUBLE BOOTHS come with two (2) 2 ft x 8 ft tables and four (4) folding chairs. If you do NOT want the table and/or the chairs, you MUST let us know in advance by emailing naturalparentingnetwork@gmail.com BEFORE 3/7/19. Otherwise it will be your responsibility to move the table and chair/s to the designated storage location in the Expo Hall. If you need additional tables or chairs, please bring them with you. EVERYONE: DO YOU HAVE A TABLECLOTH OR TABLE COVERING? Please NOTE: tablecloths are NOT included with tables. You will need to provide table cover/s. 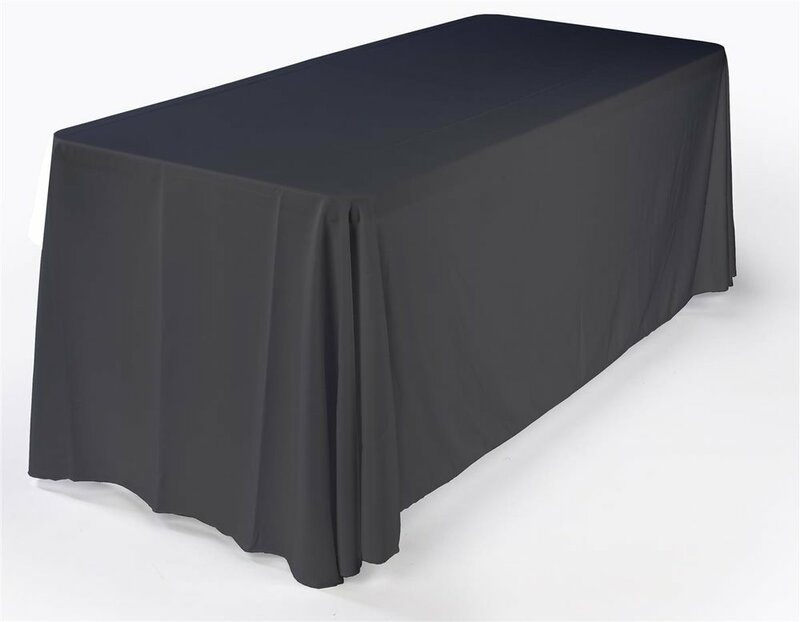 Either of these types of tablecloths will provide full coverage for the 8-foot table: traditional tablecloth (90" x 156") or skirted style tablecloth for 8-foot table. EVERYONE: DO YOU NEED ELECTRICITY AT YOUR BOOTH? You CAN order the day of the event, BUT the Monona Terrace STRONGLY prefers that you order in advance. Ordering the day of the Expo can cost you some set-up time. Please note: Electricity is INCLUDED with Title and Large Space sponsorship. Electricity is not available for The Mini Crafty Fair vendors. FOOD VENDORS: ARE YOU PLANNING TO SAMPLE FOOD AT THE EVENT? The request to distribute free samples must be submitted IN WRITING to Monona Catering at least 14 DAYS prior to the opening of the event with precise product descriptions, along with the executed Monona Terrace Hold Harmless Waiver. Exhibitors may only distribute free samples of a food or non-alcoholic beverage that is made or sold in the ordinary course of business of the exhibitor. These samples must not exceed 2 ounces of food or 3 ounces of beverage. If the 2 ounces of food is the normal full portion or the item being sampled is a candy bar, granola bar, or like item, then the portion should be cut in half so as to truly represent a taste sample. Proper liability insurance must be supplied by said exhibitors. Read full food sampling rules: Monona Terrace Food Sampling Guidelines. PLEASE NOTE: You are allowed to offer a very small, individually packaged, grocery store-bought item at your booth (like a Hershey's Kiss or individually-wrapped Lifesaver) without requesting permission or completing the Hold Harmless Waiver. Because NFE promotes wellness, we do recommend that you consider a healthy-ish "treat." High speed WIRELESS Internet access MAY ONLY BE PURCHASED ON-SITE at Monona Terrace. Cost is $10.00 per day and must be paid with a credit card (Visa, MasterCard, American Express or Discover). You first connect to the 'mono-guest' (free) network in your computer settings and then the Monona Terrace splash page opens and there you can choose the premium option for the high speed WIFI. That will prompt you for the credit card number. so this is not something you can purchase ahead of time. you have to do it onsite. This service cannot be ordered in advance - only when you arrive at the Monona Terrace. If you'd like to order food, stop by the concession stand beginning at 7:30 am to place your order and pay. Exhibitors may order boxed lunch upon arrival at the Natural Family Expo. Lunch will be delivered to your booth between 11 a.m. and 11:30 a.m.
As usual, flyers will be posted around town before the event. Flyers will also be mailed to exhibitors with brick & mortar locations - so you can post them as well as hand out to your customers! If you do would like flyers/postcards, please let us know when you register. Please join the Facebook Event: 7th Annual Natural Family Expo, and "SHARE" from your business and personal Facebook pages. Invite your friends! Swag bags go to the first 500 families at the Natural Family Expo. There is still time to purchase a swag bag stuffer until March 7, 2019. If you have purchased a swag bag filler, please deliver 500 promotional items before the deadline: March 8, 2019. If you did not receive the email with the address and instructions, please let us know so we can send it to you. Haven't heard of the Scavenger Hunt? Families visit each booth on the Scavenger Hunt map and get a stamp at each. When they have received stamps from all the booths, the card is turned in at Hulafrog's booth. Each child receives a prize on the spot, and the family card is entered into the drawing for prizes.